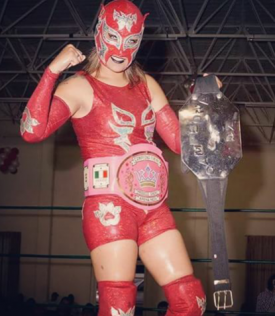 Indie luchadora of note around Mexico City, before starting with CMLL in September 2016. In typical CMLL fashion, her name was shortened from Felina Metalica to La Metalica, but still has a little bit of the cat imagery. This page was last edited on 5 February 2019, at 13:00.